FAYETTEVILLE, Ark. 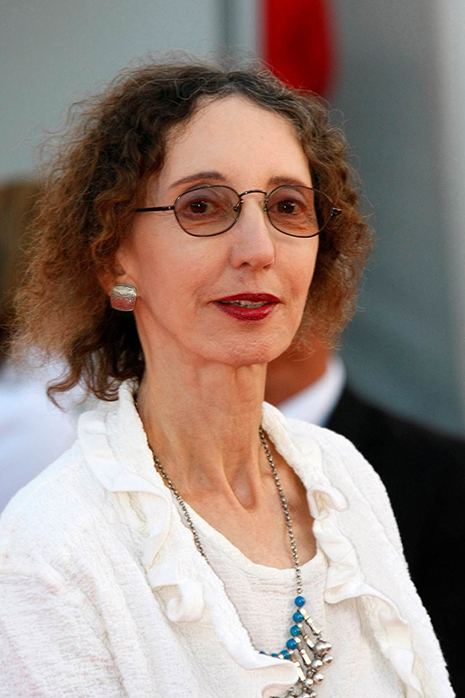 – Acclaimed writer Joyce Carol Oates, author of more than fifty novels as well as dozens of short story collections, books for children and young adults, essays and poetry collections, will read from her work at 7p.m., on Monday, April 21, 2014, at the Fayetteville Town Center. The event, part of the University of Arkansas Programs in Creative Writing and Translation Distinguished Readers Series, is free and open to the public. Since 1963, forty of Oates’ books have been included in the New York Times list of notable books of the year. Her novel, Them, won the National Book Award in 1970. Other honors include two O. Henry Prizes, the PEN/Malamud Award for Excellence in Short Fiction, and the M. L. Rosenthal Award from the National Institute of Arts and Letters. In 2009, Oates was given the Ivan Sandrof Lifetime Achievement Award by the National Book Critics Circle and the next year was awarded the National Humanities Medal for her contributions to American letters. Oates currently serves as the Roger S. Berlind Distinguished Professor of the Humanities at Princeton University, where she has taught since 1978. Born in Lockport, New York, Oates began writing as a teenager after her grandmother presented her with a typewriter. At the age of 19, she won the Mademoiselle college fiction contest. Throughout high school and college, she followed a strict regimen of writing, drafting novel after novel. Since then, her career has been marked by productivity—publishing books at the rate of roughly two a year—as well as eclecticism. Her oeuvre contains essays, plays, anthologies, literary criticism, children’s books and poetry in addition to fiction, encompassing countless genres, styles, voices, topics, and modes of creative expression. Oates is best known for her novels Them; Blonde, a fictional portrait of the inner life of Marilyn Monroe; The Falls, which won France’s Prix Femina; We Were the Mulvaneys, an Oprah’s Book Club selection; and for her most anthologized short story, “Where Are You Going, Where Have You Been?” Her most recent works include Daddy Love and The Accursed, and her new novel, Carthage, due to be published in January 2014. In addition to the reading, Ms. Oates will meet with students in the Master of Fine Arts program in creative writing during her visit. The creative writing program’s Distinguished Readers Series is made possible by the Fine Arts Activity Fee, the Department of English, and the James E. and Ellen Wadley Roper Professorship in Creative Writing. Their generous support means there is no charge to attend Ms. Oates’ reading, and no tickets are required. Books will be for sale at the venue, with a signing to follow the reading.